IGNOU Regional Centre, Khanna came into existence in April 2001 after the bifurcation of Karnal Regional Centre. This Regional Centre had its jurisdiction over the entire state of Punjab and the Union Territory of Chandigarh. In the year 2009, RC Khanna was further bifurcated and a new Regional Centre Chandigarh was established. 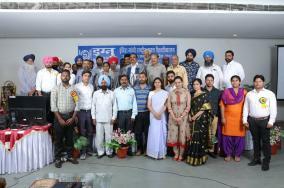 The districts of Patiala, Roop Nagar, Fatehgarh Sahib, Mohali and the UT of Chandigarh were shifted to RC Chandigarh.